Number 50 Dylan O’Quinn played quarterback and tight end in high school. A talented athlete from rural Millbury, Ohio, where I actually grew up, O’Quinn is used to country roads, pickup trucks, and cornfields. He played baseball and basketball, as well, at Lake High School. He chose UC over offers from Western Michigan, Toledo, Eastern Michigan, and Indiana State. O’Quinn was the only member of his 2018 high school graduating class to earn a division 1 college scholarship. O’Quinn was recruited by Doug Phillips and immediately fell in love with the big city straight down I-75. He landed in Clifton at 6’ 4” and 307 lbs. A mountain of a man, Dylan will anchor the offensive line this year as a freshman. In his spare time, he loves to spend time with his friends, play basketball and whiffle ball, and grill out. He is majoring in communications with a minor in sports administration. After college, Dylan is interested in getting involved with high school coaching and athletic directing. A big fan of Skyline, Dylan’s go-to order is a four-way with onions and three cheese coneys. He makes up the other half of J&D Food Review. Be sure to check them out on Twitter @JDsizzleyum as they will soon be releasing their Skyline vs. Gold Star challenge. 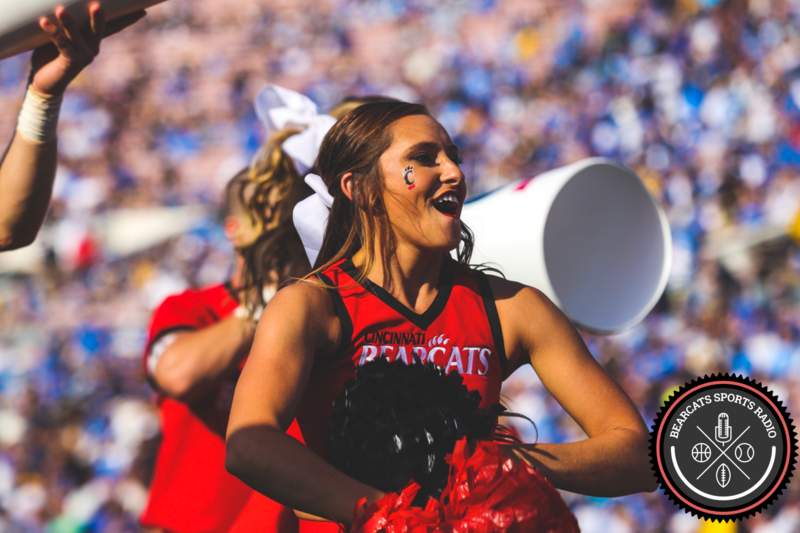 For more real-time UC sports updates, be sure to follow Andy on Twitter: @BSR_Andy; or, if you’re into pictures, feel free to add Bearcats Sports Radio on Instagram. As always, thanks for reading along.